Inspired by the challenge and journey of bringing life to the mundane and mechanical, Axle is a mobile platformer where you play as an exuberant little gear named Axle who maneuvers through various contraptions, charging them up and restoring the spark of their functionality. The game features a hand-painted art style and an original electro-swing soundtrack to establish a unique and vibrant world; Axle’s adventure spans multiple locations including a toy shop, an estate, and a factory, seamlessly fusing traditional platforming gameplay with innovative, crafted controls. 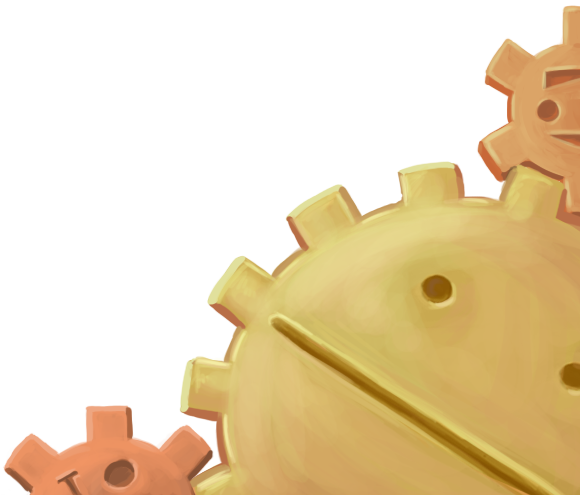 Axle is an exciting clockwork adventure for all ages. The Axle team met at Chapman University, and consists of alums of the class of 2012. 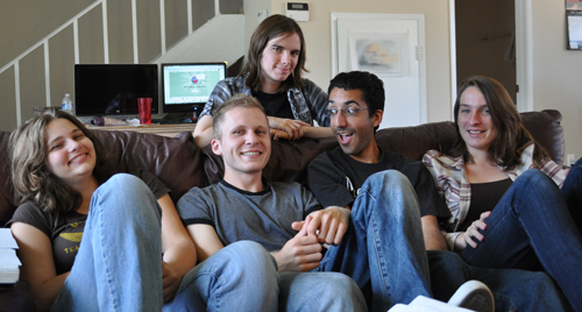 They founded Fallstreak Studio, for which Axle is the debut game. 'Axle has some of the best controls for a platformer that I've played on a touch screen. They really came up with a unique way to get around the problem of not having tactile feedback from a button press"
"Axle puts a twist on classic platforming by subverting the whole left-to-right affair with a much more imaginative steampunk level design infused with momentum based physics gameplay...the imagination of its design and variety on display in Axle is impressive." "9/10 Amazing...Elegant, adorable, yet a simple art style that really stands out versus competing apps." "From Angry Birds to Scramble, even the best ones are still pretty derivative. That's why it's so awesome when you see an independent team that comes up with something not only polished and professional, but also incredibly unique"
Axle has some of the best controls for a platformer that I've played on a touch screen. They really came up with a unique way to get around the problem of not having tactile feedback from a button press. "We've seen this game in action and have had some hands on time with it, and it's definitely worth checking out"
"Axle has brought inspiration from popular game mechanics, something that most mobile games lack. Lives, secret/hidden objects to collect, and puzzling obstacles. But one of the unique things that Axle brings to the table is that it is set in a “circular” world filled with everything and anything you find in old school WWII (which is the time period of the game) machinery"
"Let me not waste your time. 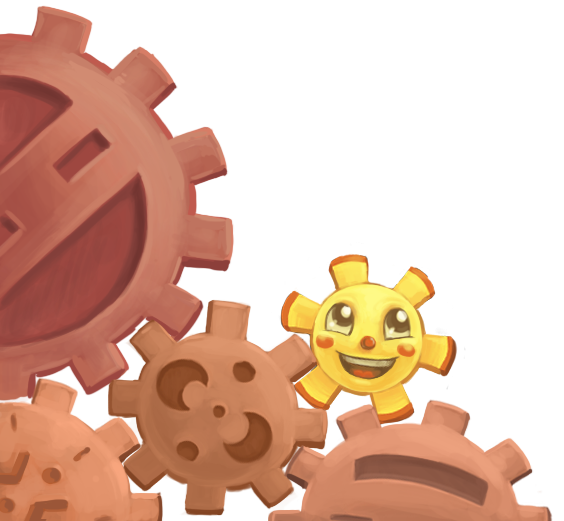 Axle is a promising platform game with puzzle elements...Axle has a nice blend of steampunk and cutesy elements with some apparent puzzle elements thrown in for good measure"
"Have you heard of Axle? Surely the name Mario or Sonic rings a bell, right? Soon enough, the Kickstarter-funded Axle could have the platforming chops of Super Mario or Donkey Kong Country paired with the portability and addictiveness of Angry Birds...What makes Axle so appealing is how simple it is to control...Since moving and jumping is the crux of any good platformer, it needs to be effortless and feel natural; Axle does just that"